We are excited to offer this 2016 Lexus NX 200t. Drive home in your new pre-owned vehicle with the knowledge you're fully backed by the CARFAX Buyback Guarantee. 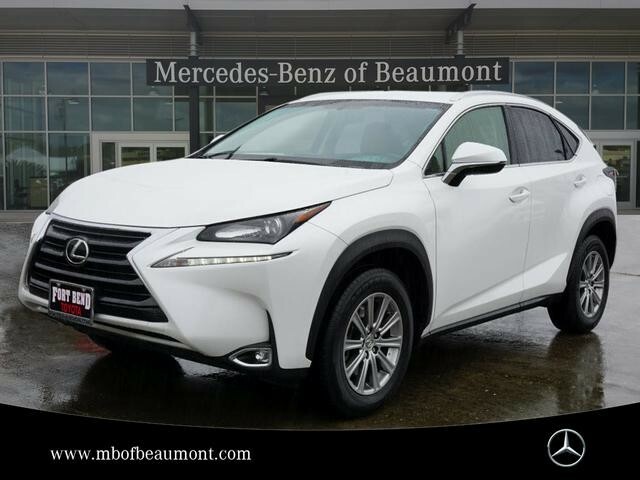 Perfect for the on-the-go family, this Lexus NX 200t is an SUV everyone will love. With exceptional mileage, options and power, you'll insist on driving it on all your outings. It's not a misprint. And the odometer isn't broken. This is a very low mileage Lexus NX 200t. A rare find these days. More information about the 2016 Lexus NX 200t: The Lexus NX enters into the growing compact SUV market, but offers a bit more luxury and a lot more style than any of its competitors. The Lexus NX also stands out with its available hybrid powertrain, making this the sixth hybrid Lexus in their lineup. With a short wheelbase, ideal for city driving, the Lexus NX is easy to park and maneuver. However, with decent ground clearance, it has no trouble negotiating bumpy country lanes or dealing with light off-road duty during picnic trips. For drivers who want a little extra dose of excitement, the NX is available in F-sport guise. With unique styling features and sportier demeanor, the F-Sport looks meaner and even more serious than the standard NX. Strengths of this model include available hybrid powertrain, available all-wheel drive, sporty styling, Compact dimensions, powerful but efficient engine choices, and practical interior We look forward to seeing you soon! Please call us for more information.